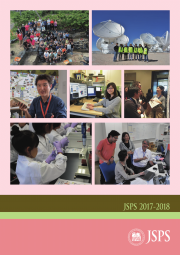 This program is offered at the National Institutes of Health (NIH) by the Japan Society for the Promotion of Science (JSPS), in cooperation with the NIH’s Fogarty International Center (FIC), and the NIH Office of Intramural Research. 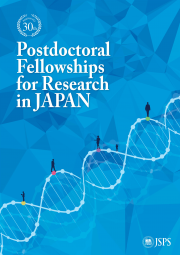 It is designed to support meritorious biomedical and behavioral research projects undertaken in NIH laboratories by young Japanese postdoctoral researchers who intend to hold research positions at Japanese universities or other academic institutions or public institutions in Japan in the future. Approximately 10 Fellowships, but possibly fewer depending on application quality and funding availability. Fellowships must begin ON either January 1, February 1, or March 1, 2020. JSPS will provide each Fellow with a monthly stipend of 379,000 JPY to be directly deposited into a designated bank account in Japan or the US. JSPS and NIH agreed that the Fellows are designated as a Supplemental Visiting Fellow and each sponsoring NIH institute or center (IC) must provide each Fellow with supplemental funding. The IC also provides health insurance coverage for each Fellow and eligible accompanied family members. Applicants must be Japanese citizens or permanent residents of Japan. Applicants must have obtained their doctoral degree, equivalent to a Ph.D., which must have been received on or after April 2, 2014. (i.e. April 2, 2014 to April 1, 2019). Applicants who are already working in the United States must be eligible for an extension of their visa. 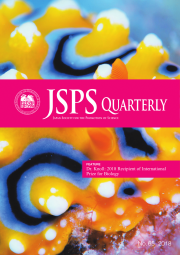 Individuals who have previously been awarded a JSPS Overseas Research Fellowships (formerly JSPS Postdoctoral Fellowship for Research Abroad) are not eligible. If any information in an application is found to be falsified, plagiarized or otherwise flawed, the application will be rejected. After selection, fellows should observe the following points and will be expected to observe the regulations and procedure. Failure to do so may result in the termination of the fellowship, and return of any already-paid. For details, fellows are requested to read carefully and observe each item in a program guidelines “日本学術振興会海外特別研究員（NIH）の事務手続の手引,” which is to be provided to fellows. Fellows must devote themselves exclusively to their research at NIH during the tenure of their fellowship. Fellows may, however, suspend their fellowships for the purpose of childbearing, infant nursing or illness with doctor’s order. Fellows must prepare an annual report on their research progress. One in Japanese and English is to be submitted to the JSPS Washington Office, one in English to the Fogarty International Center. Other than a research position at a university, an inter-university research institute, a national laboratory or an independent administrative institution, a special public corporation, an authorized corporation, a non-profit organization, or a prefectural research institution in Japan, applicants must not have employment commitments outside of the fellowship program, including part-time work. Fellows may not matriculate a university or graduate school as a student during the period of their tenure. Fellows shall not commit inappropriate behavior, such as fabrication, falsification or plagiarizing, in connection with their research activities including their oral presentations and any materials submitted for publication. Fellows are requested to complete a Responsible Conduct of Research(RCR) education designated by the JSPS prior to starting the fellowship. A pledge which states that the fellow has completed a RCR education and will not get involved in misconduct to be submitted to the JSPS. Fellows shall use research funds appropriately based on NIH’s and JSPS’s rules and procedures. Date in July TBD: An NIH review committee nominates the top 10 applicants to JSPS. In Autumn: JSPS mails out preliminary selection letters to the fellowship awardees and sends the selection results to NIH. ICs at NIH begin to process the paperwork for accepting the awardees. On January 1, February 1, and March 1, 2020, stipends are awarded. JSPS may terminate the fellowships of individuals who have falsified their applications or who behave improperly during their tenure at NIH. Requests to change research plan, host institution, host researcher are as a rule not granted. When change is needed for unavoidable reasons, please consult with the JSPS Washington Office right away. Note: Building 16 is a locked and secure building, please ring the doorbell. The application package must adhere to “JSPS Kaitoku Application Guide”. Describe the goal of the lab and how the Japanese scientist’s qualifications enable him/her to work in the lab/branch. Describe the applicant’s research project from your perspective as sponsor and how this training will be mutually beneficial to the Japanese scientist and NIH. Appropriate stipend amount per NIH stipend tables (In addition to the JSPS stipend the awardee receives, the NIH IC host lab must provide supplemental funding to meet the NIH stipend tables). *Since FY2017, the NIH IC obligation to support an unsuccessful JSPS applicant has been eliminated. The invitation to work in your lab can be contingent on receiving the award. Certificate of PhD degree: Certification must take the form of a certificate of the diploma with the original seal and signature (not a photocopy) from the university issuing the doctoral degree. It must be attached to the application form. This document does not need to be translated into English. 5-page Biosketch:Submit the 5-page Biosketch (Curriculum Vitae) of your NIH host researcher. The Biosketch may not exceed 5 pages. Quality and feasibility of the proposed research project. Suitability of the sponsoring laboratory. Evidence that the applicant is prepared to do the proposed research. If selected for a fellowship, fellows should note that their name, title, affiliated organization and country; research theme, host institution, host researcher’s name and title; and research reports may be given public access. Fellows are also asked to participate in surveys aimed at improving JSPS programs. up to 10 years after the end of the fellowship. 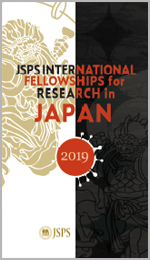 The follow-up surveys help us promote scientific research in Japan and improve the fellowship. Please note that cooperating in the follow-up surveys is one of conditions of the fellowship. In order to conduct follow-up surveys smoothly, former fellows who ended the fellowship within 10 years must keep the JSPS informed of any change of affiliation or address.